The River Gallery will be featuring Orange Grove Center in their holiday promotion from November 23–December 31, 2018. A percentage of their sales during that time will benefit the art department at Orange Grove Center. Orange Grove believes art is a vital component of the services they offer as they strive to support not just the lives of people with intellectual and developmental disabilities, as measured by a pulse, but meaningful lives, as measured by satisfaction, joy, and a sense of well-being. However, they receive no monies to support the art department from any of the government funding streams that support individuals with disabilities and rely fully on the generosity of others, such as the River Gallery, to keep the art department running. 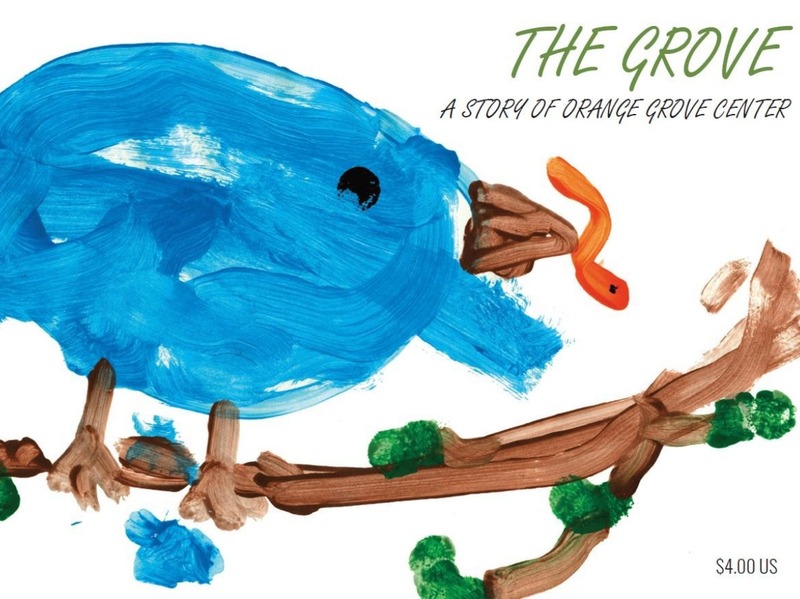 Along with donating a percentage of their sales, the River Gallery will be selling a small book, “The Grove: A Story of Orange Grove Center,” for $4.00 to benefit Orange Grove. You can visit the River Gallery during their hours of operation on Monday-Saturday 10:00 am–5:00 pm and Sunday 1:00–5:00 pm.